November 1, 2012, I saw climate activist Bill McKibben speak at Washington University in St. Louis. He had so many insightful and inspiring words for me in others in the audience about the problem of climate change and the actions we must take to reduce the threat. When he asked the students at Washington University in St. Louis to petition the board of trustees to divest from fossil fuels, I marveled how Wash U students, such as Rachel Goldstein and Adam Hasz and former student, Arielle Klagsbrun, immediately wanted to take up the challenge. In a reception to meet Bill McKibben, these brave activists enthusiastically talked about how they wanted to petition the board of Trustees at Washington University in St. Louis. They all acknowledged it would be a very steep uphill fight. In particular, Gregory H. Boyce, Chairman and CEO of Peabody Energy, the world’s largest private-sector coal company, sits on the board. Without a doubt, Gregory Boyce would fight hard against any attempt by Wash U to divest its endowment from fossil fuels. Dr. Lane encourage me to contact student Tyler White, who is a senior and Student Senator, and Dr. Andrew Pratt, Vice President for Social Responsibility and Engagement. 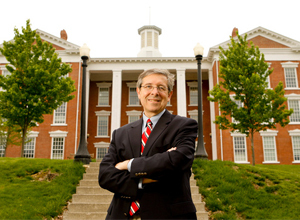 Dr. Pratt is also Director of William Jewell’s Center for Justice and Sustainability. Dr. Pratt then advised me to send a letter to the President of William Jewell, Dr. David L. Sallee. This past Thursday, I composed the letter. On Friday, I mailed the letter. Under no circumstance am I under the illusion that writing a letter to Dr. Sallee will magically make William Jewell College immediately decide to divest fossil fuels from its endowment. My objective is to get the students, faculty, alumni, and administration thinking about it. For William Jewell, this movement is coming there way. Or, if it was a movie ad campaign, you could say the 350.org Fossil Free Divestment campaign is “The following is a PREVIEW of political movement coming soon to a college campus near you.” In December 4, 2012 New York Times article, half of the Harvard University Student body voted 72% to support the demand that their school trustees divest its endowment from fossil fuels. In 2013, three US colleges have now pledged to divest its endowment from the two hundred fossil fuel companies. The tide is coming. My alma mater will have to decide whether it wants to be front of, behind, or riding the crest of the wave. When I was a student there in the late 1980s, William Jewell did the right thing by divesting from companies supporting South Africa’s apartheid. Now it it must act to divest from fossil fuel companies that are wrecking havoc on our global climate. Below is the letter that I mailed to President Sallee at William Jewell College yesterday. My name is Brian Ettling. I am a 1992 William Jewell graduate. I majored in Business Administration. Since graduating from Jewell, I have worked as a park ranger in the national parks, Crater Lake National Park, Oregon, and Everglades National Park, Florida. While working in the national parks, I developed a deep passion about climate change. As a result, for the past several winters, I am a climate change communicator and organizer in St. Louis. Last November, I got to see climate activist, Bill McKibben speak at Washington University in St. Louis. McKibben’s remarks inspired me to get involved with his 350.org “Do the Math” campaign. This campaign petitions colleges and universities across the U.S. to divest their portfolios and endowment holdings from large fossil fuel companies. I am sending this letter to you for my alma mater, William Jewell, to do the same. I am a very proud William Jewell graduate. I would not be where I am at today as a Climate Change Communicator without the incredible education I received at William Jewell. My communications classes from Jewell were so helpful for me to provide techniques for giving presentations as a national park ranger, public speaker, and organizer in St. Louis. Over the past two months, I contacted communications Professor Dr. Gina Lane, student Tyler White who a senior and Student Senator, and Dr. Andrew Pratt, Vice President for Social Responsibility and Engagement. I approached each of them for advice how to start a campaign for William Jewell to divest from fossil fuel companies. Dr. Pratt suggested that I contact you. During my time at Jewell, the Board of Trustees decided to divest from South Africa. At the time, I was very openly critical of this action. I now know that I could not have been more wrong. My William Jewell education helped me to see the true evil of South African apartheid and the importance of voting with your money to disavow such a total injustice. Only two years after I graduated from Jewell, I worked with South African citizens at Death Valley National Park. I asked them about apartheid. They told me that it was wrong and it had to end. Even more, they told me the divestment campaign started in US colleges and universities did convince their countries leaders that apartheid had to end. Climate change is the biggest threat to our future and even bigger threat to future generations, such as all the students attending William Jewell. In 2012, we had a record heat wave and drought in the Mid West, Hurricane Sandy devastating coastal New Jersey and New York, the Arctic Ice is melting at an unprecedented rate, etc. I was on the wrong side of history with apartheid while I attended William Jewell. This time, I want to be on the right side of history. I want to be on the record to persuade the students, alumni, William Jewell’s college leaders and trustees, and you to take leadership to divest from fossil fuels to save us from dangerous climate change consequences. Sterling College in Vermont recently announced it is proud to be the third college in the United States that will soon divest its endowment from the two hundred fossil fuel companies. The Board of Trustees voted unanimously at its February 2, 2013 meeting to instruct the investment team to take this action and to move swiftly to divest. Thanks for allowing me to share all these thoughts with you. I am including article from December 4, 2012 New York Times talking about how college campuses are organizing campaigns to insist that the college leadership divest from fossil fuels. This entry was posted in Uncategorized on February 10, 2013 by bettling. Want to change the world? Be Persistent! This is great example that having persistence is the way you become famous or change the world. 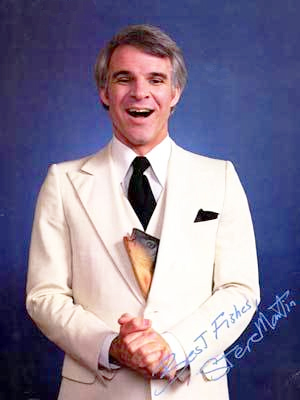 From his appearances on The Tonight Show and other TV shows in the late 1960s and early 70s, Steve Martin went on to become one of the most successful stand-up comedians of all time. There is a good chance you probably do not want to be famous. If you want to be famous, all you have to see is a 10 second video of the paparazzi chasing movie stars. This will cure any urge real fast. Chances are you are not satisfied with the world around you. Maybe all the pollution bothers you. Maybe America falling behind in manufacturing to the Chinese bothers you. Maybe high gas prices bothers you. Maybe our dependence on foreign oil bothers you. Maybe increasing utility bills bothers you. Maybe the continuing the heat wave of 2012 and continuing drought bothers you. Maybe the recent mild winters bothers you. Maybe the gridlock in Congress bothers you. Maybe the tidal surges of Superstorm Sandy bothers you. Maybe the floods of Hurricane still Katrina bothers you. Maybe the collective inaction of society and our government on climate change really bothers you. If any of this is bothers you, then I have good news for you. 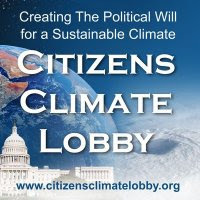 This past May, 2012, I discovered a group that can make a huge difference on all these issues: CITIZENS CLIMATE LOBBY. However, it took many months of pestering by one person to get me to attend at Citizens Climate Lobby meeting. Her name is Carol Braford. Just like Steve Martin tenaciously doing the Tonight Show over a dozen times before he started to become famous, Carol Braford invited me to Citizen Climate Lobby meetings multiple times before I finally acted. How did Carol Braford find me? In November, 2011, Larry Lazar started the Climate Reality Meet Up group in St. Louis. We had our first meeting at Cafe Ventana on December 11, 2011. Larry organized the meeting around all of us getting to know each other and our concerns about climate change. We had about 16 people attend the meeting, including Tom and Carol Braford. I first met Tom and Carol in January 2011, at the St. Louis University Green Sustainability Conference. They had a table to promote their green eco village, which is their life’s passion to create. When you meet Carol and Tom, they had such an inviting sweetness to them. They are so friendly and welcoming that you almost want to ask them on the spot if they will adopt you as parents or grand parents. Soon after you are taken in by their genuine charm, you meet Carol’s PERSISTENCE. She has such a welcoming persistence that you want to say YES! to any social function that she invites you to attend. She had me sign up my contact info to learn more about the Eco Village. Soon afterward, I received e-mails from Carol pertaining to functions promoting the eco village. However, I soon forgot about the eco village as I got involved with Toastmasters and working at the temporary Climate Change exhibit at the St. Louis Science. Even more, I returned to Crater Lake from June to September, 2011. October 2011, I attended the National Park Service & NASA: Earth to Sky Communicating Climate Change Conference in Shepardstown, West Virginia. Around that time, I traveled to see friends in Ohio, Pennsylvania, and Washington, D.C.
By the time Larry Lazar and I launched our kick off Climate Reality St. Louis Meet Up meeting, I completely forgott Carol and Tom Braford. Larry did a great job making our initial Meet Up meeting a success. After the meeting, I will never forget Carol personally inviting me to attend a Citizens Climate Lobby (CCL) conference call meeting. She had an enticing way to describe the group. She mentioned conference calls on the first Saturday of each month listening to national experts on climate change. Then the group plans actions to lobby Congress to pass effective laws to protect us from climate change. I was interested. One big problem: I just took a job a the St. Louis Science Center where I agreed I would be working weekends. Thus, it would be really hard for me to attend these meetings. Over last winter, Larry Lazar and I kept leading our Climate Reality Meet Up meeting on the third Sunday of each month. Up to 20 people were attending our meetings, including Tom & Carol Braford. Carol kept mentioning CCL. I felt in a bind because attending their meetings intrigued me, but my job schedule made it really hard. Finally, the timing was right when my winter seasonal job ended at the Science Center at the end of April. I had a free Saturday, May 5th. I arrived at Tom & Carol’s house around 11:30 am. She had a lot of delicious and healthy snacks for us to eat, especially wonderful cheese, crackers, fruit, and amazing homemade bread. There was 5 of us in attendance. Then Carol connected us to the the conference call and I was blown away. All these groups from North America were calling into the conference call: Atlanta, New York, Chicago, San Diego, San Francisco, Toronto, Phoenix, Minneapolis, Albuquerque, Madison, Seattle, and new groups in Portland and Eugene, Oregon. STOP RIGHT THERE! I immediately thought: Why isn’t southern Oregon represented? There are so many environmental activists in Ashland, Oregon and the surrounding Rogue Valley. At the close of the meeting, I boldly told Carol that I was going to establish a CCL group in southern Oregon. Even more, the main speaker on the conference call really impressed me. Retired Major Gen. Anthony L. Jackson of the US Marine Corp talked about the Defense Department initiatives to use more energy from clean, renewable sources and less from fossil fuels. I was deeply amazed by all that the Defense Department actions and plans to reduce their carbon footprint and be fossil free within the coming decades. 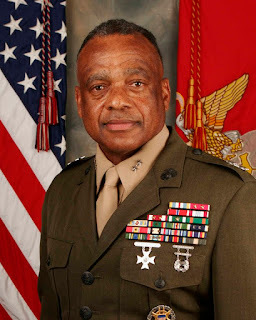 If our military is doing all it can to combat climate change, surely I can do more, especially if I can work with CCL. When I returned to Crater Lake National Park, Oregon, in mid May, I persistently started networking to see who I could find in southern Oregon who could help me create a local CCL group. I mentioned this goal to a local friend in Ashland and she sent me a list of all her Facebook friends. I kept sending out messages on Facebook. After 50 messages, I lost track of how many I sent. Finally, in late June, I discovered three people who seemed intrigued by Citizens Climate Lobby and they e-mailed back to me. 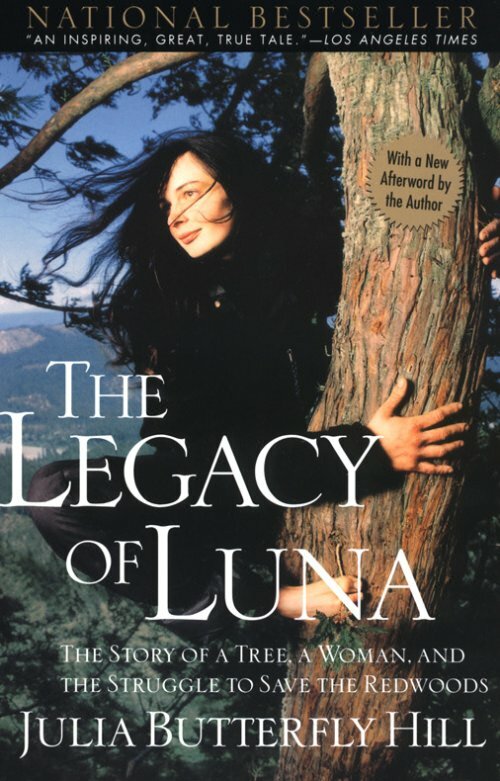 It felt like a breakthrough when I was exchanging messages with local sourthern Oregon residents Jim McGinnis, Alan Journet, and Susan Bizeau. All four of us met at Susan’s house for the September Citizens Climate Lobby phone call. All of them seemed somewhat interested in starting an ongoing relationship with CCL. They wanted me to lead the group because of their hectic schedules and commitments. Unfortunately, my season was over at Crater Lake in October. I was already committed to returning to St. Louis for the winter. Just like overlooking Carol Braford the previous year because of work and returning to Crater Lake, I forgot about my contacts in Southern Oregon because of my busy winter schedule in St. Louis. My plate for the past few months has been full with working at the St. Louis Science Center, my involvement with Toastmasters, teaching a class on climate change with St. Louis Community College, NASA invited me to speak in Hampton, Virginia in November at the National Interpreter Association Convention, speaking opportunities in St. Louis, etc. It was sublime to read this. It was one of the few times in my life where I felt like I had genuinely made an impact on the world. Here was a group of people meeting to possibly form a CCL group thousands of miles away from me because I was the first person to suggest this idea to them. Needless to say, Carol was very happy to read this. Carol’s persistence with me reminded me of Steve Martin’s story. He showed such determination and persistence to appear on the Tonight Show with Johnny Carson over a dozen times to make it big show business. Carol’s persistence and determination over many months to get me to attend a CCL meeting did paid off. I now really love being involved with CCL. I look forward to the monthly conference calls and participating in the group action plans. In sum, want to change the world and reduce the threat climate change? Then keep persistently inviting your friends to join you over and over again. Never give up. Carol Braford never did with me. It has been a thrill to be involved with the St. Louis CCL group when they made a huge accomplishment this winter. Steve Valk, Director of Communications of CCL Regional Manager Southeastern U.S in Atlanta, came to visit our group in early December. While he was here, Carol Braford managed for our group to have a meeting with Kevin Horrigan, the Managing Editor of the St. Louis Post Dispatch newspaper. We were able to persuade Kevin for the Post to write a supportive editorial about the danger of climate change. Even more, the Post strongly affirmed need for Congress to pass a carbon fee and dividend, which is the priority of Citizens Climate Lobby. The Post published the editorial on December 27, 2012. This editorial excited and impressed climate activists all across the country. It was another example of Carol Braford and CCL showing me what can be accomplished on climate change when one is determined to make a difference. Thanks again, Steve Valk, Carol & Tom Braford, and Lucas Salbalka for allowing me to “tag along” in the very productive meeting with the Post Dispatch. 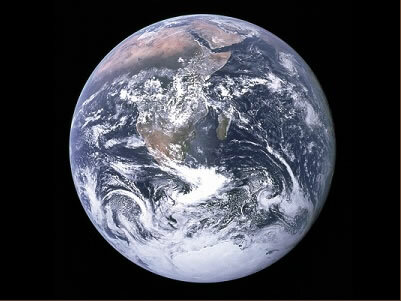 All of you are inspiring me to do more for our planet. Steve Valk, Communications Director for Citizens Climate Lobby and Brian Ettling. This entry was posted in Uncategorized on February 1, 2013 by bettling.